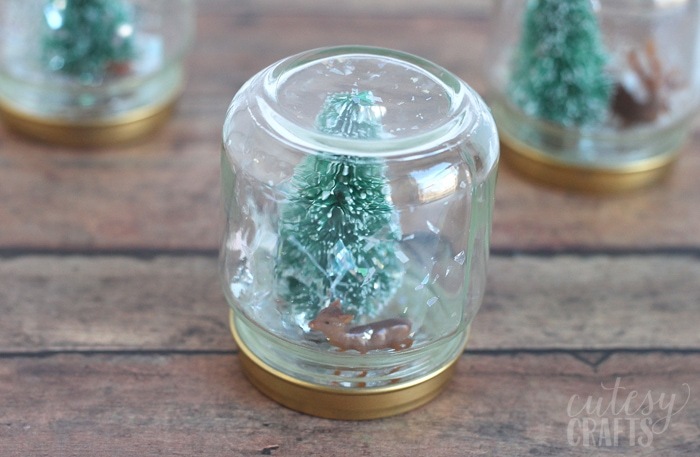 My kids have been begging to do a Christmas craft, so I came up with this little Christmas snow globe craft for kids. It’s not a real snow globe, as there’s no water. I figure that will be easier to store with the Christmas decor after the holiday is over. 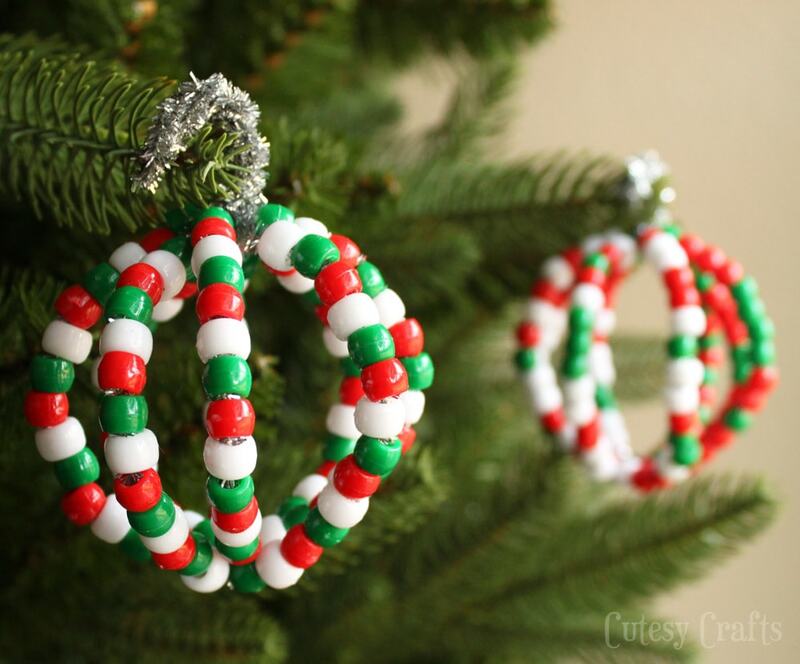 These are made with baby food jars and could easily be made in a classroom setting. The gold lids actually make them look really pretty in my house. 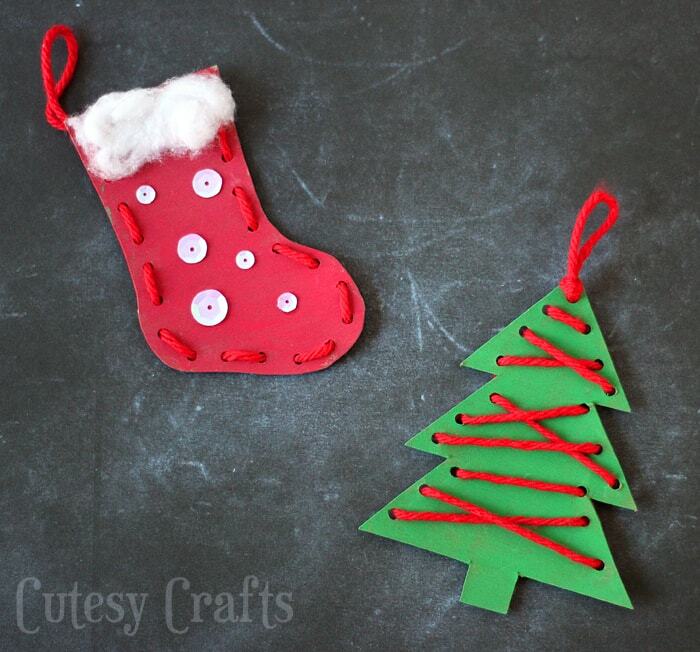 It’s a Christmas craft for kids that I probably won’t want to throw away this year. Haha! 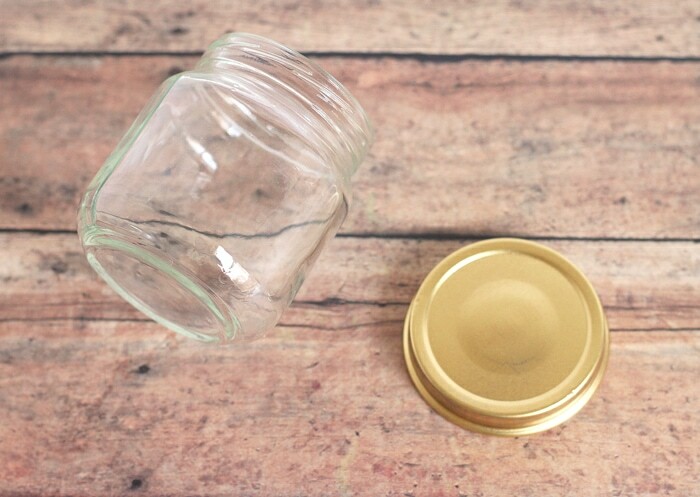 Spray paint the lid of your jar gold and let it dry. 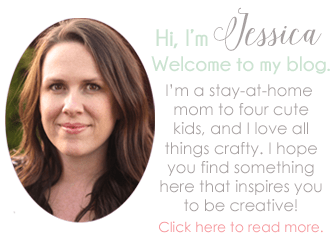 Do this ahead of time so the craft is ready for the kids. It’s optional, but makes the jars look so much prettier! 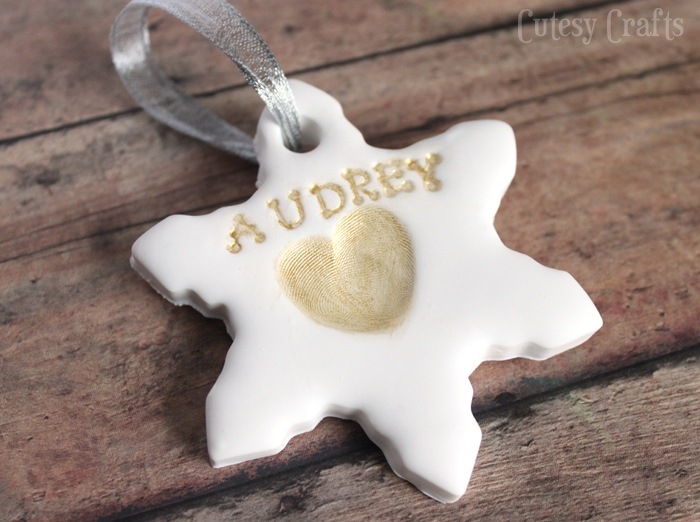 Add a glue dot to the bottom of your tree. Have you used these things? 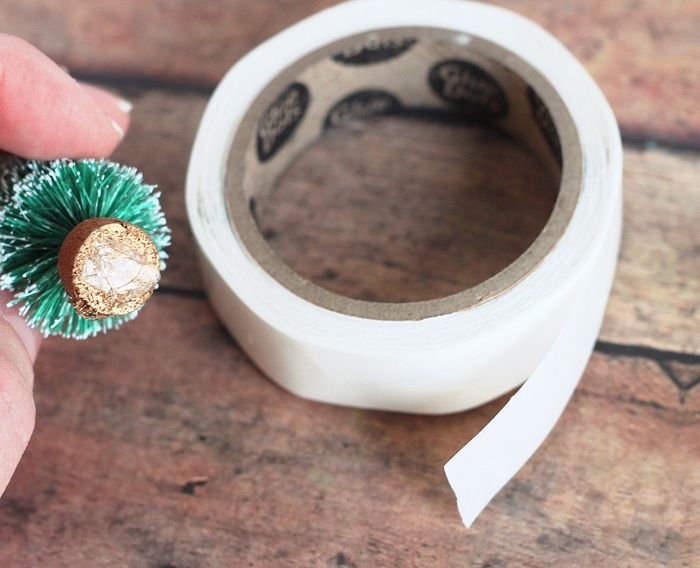 They are great for kid crafts since they can’t use hot glue. 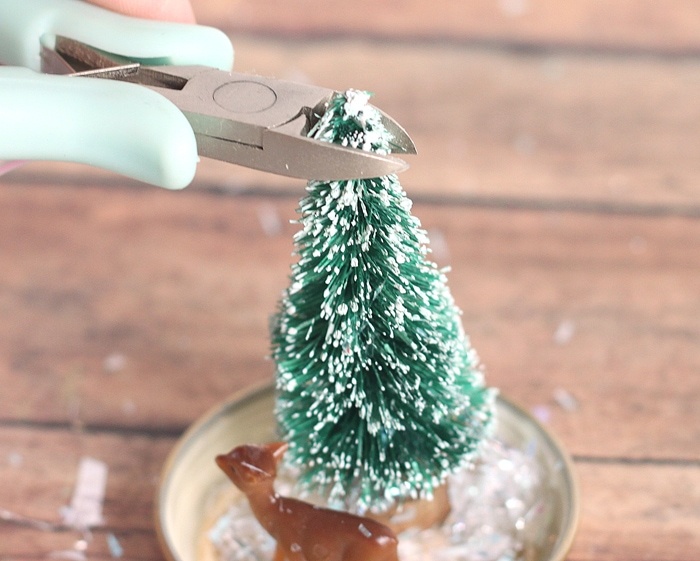 Glue the tree to the inside of the lid. Add some more glue dots to the spot on the lid where you want the deer to go. Put your deer on the glue dots. 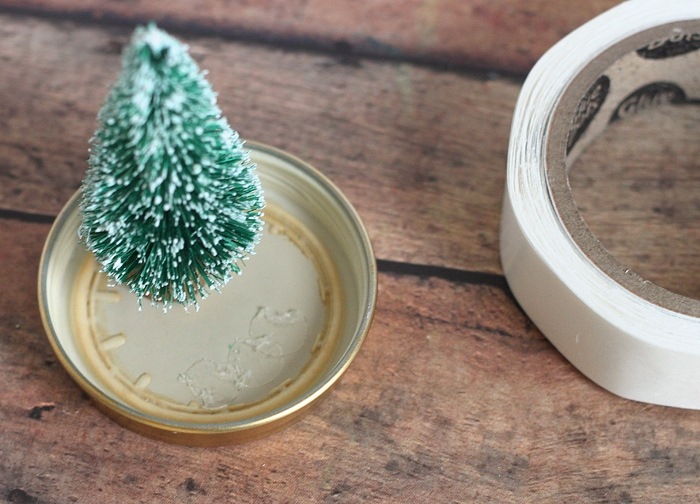 If your tree is too tall for the jar, you can cut a little bit off the top with a pair of wire cutters. Adults only for this part, of course. 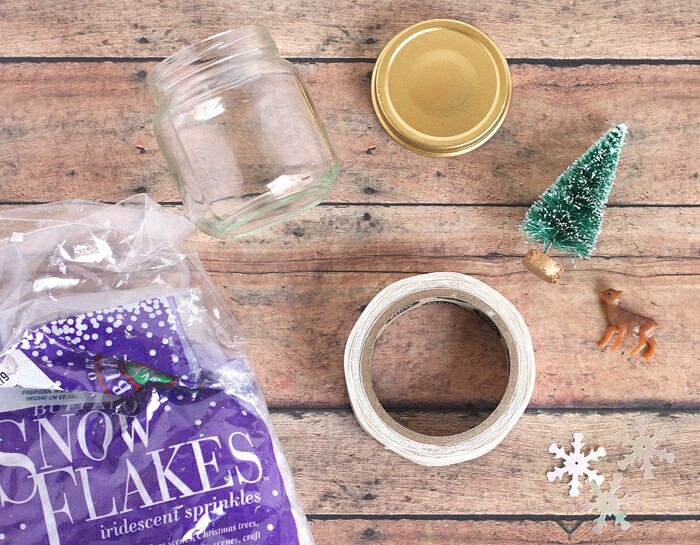 Add some fake snow the the jar. Add just enough to fill up the lid so things don’t get completely buried in snow when turned. We also added a couple larger snow flake sequins. 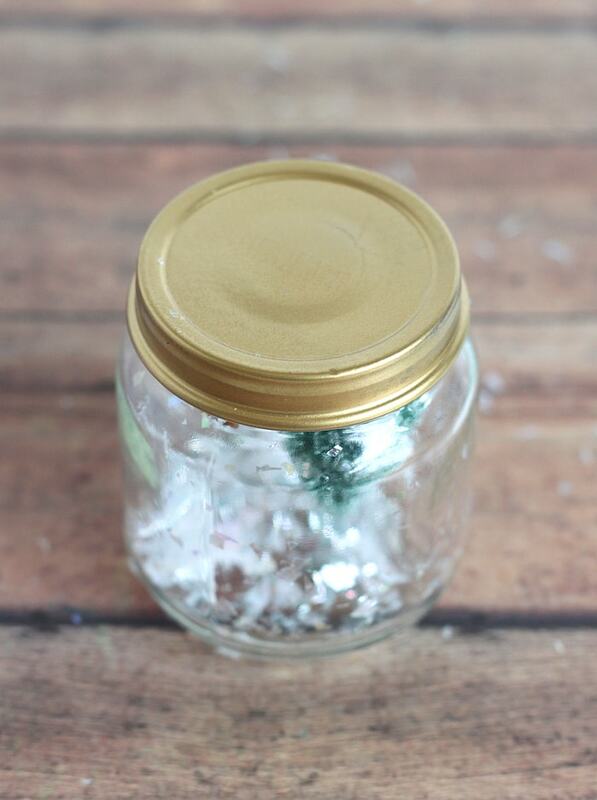 With the jar still upright, put on the lid (deer and all) and screw it on. 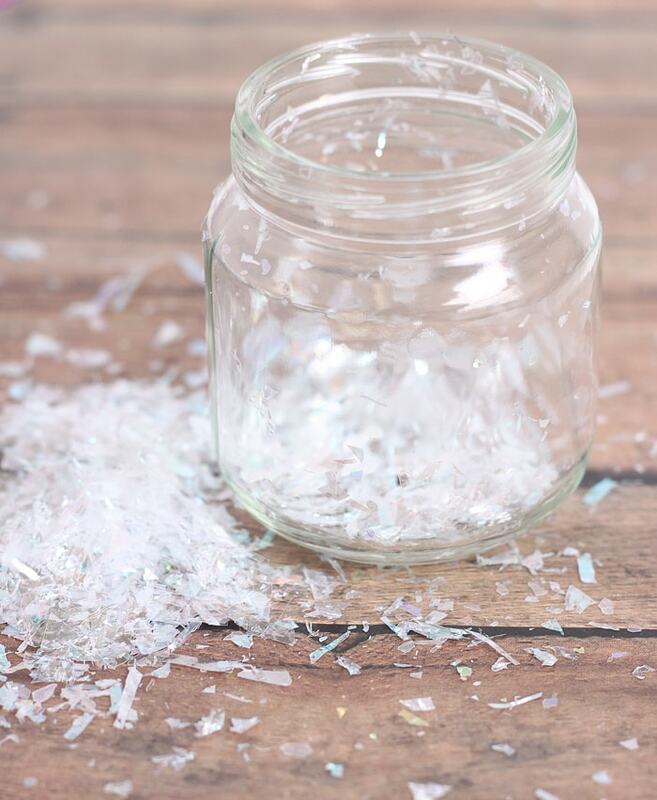 Depending on how responsible your children are, you may want to seal the jar somehow. Maybe some glue or tape? Nothing like having spilled glitter everywhere! Give it a little shake and spread the snow around. 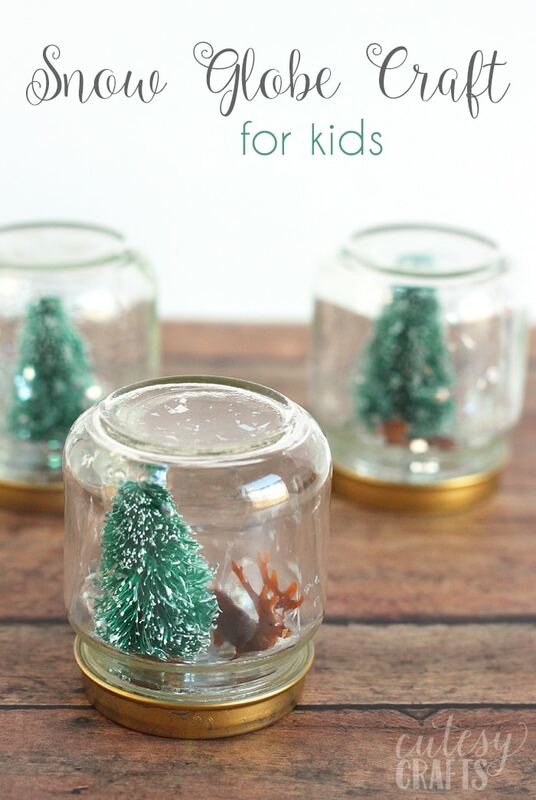 Such a fun and easy Christmas snow globe craft for kids!